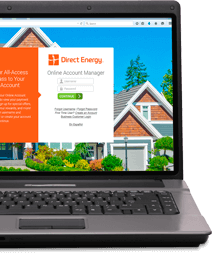 Home > Learning Center > Your Energy Choice > What is the Average Natural Gas Bill? What is the Average Natural Gas Bill? Budgeting for monthly expenses in a new home or apartment can be tricky when it comes to utilities like natural gas. There are so many variables affecting this expense that you can’t learn much from the average natural gas bill in any given area -- it all comes down to how your home is powered, how energy-efficient it is and what your energy habits are. What Affects the Cost of a Natural Gas Bill? Gas-powered appliances. Some homes and apartments power their furnaces, water heaters, ovens, stoves and dryers with gas. Others don’t have any gas-consuming appliances at all. It not only matters how many gas appliances you have, but also how energy-efficient each one is. Climate. Since most residential natural gas consumption goes toward heating homes, those who live in warmer climates tend to use a lot less than those who live farther north. Home size. When it comes to heating, bigger homes mean bigger bills. Number of occupants. More people means bigger bills, too. Home energy efficiency. Once you pay for warm air and hot water, how long does it stick around? Efficiency enhancements like insulation and multi-pane windows make a big difference. Local natural gas rates. The price of natural gas is constantly in flux, and it not only varies over time, it also varies by geography. There is a huge difference between the cheapest and most expensive natural gas states. What Is a Normal Gas Bill? To get a general idea of what you can expect to spend, it helps to look at state averages for monthly residential natural gas costs. A 2017 study by Wallethub used data from the U.S. Energy Information Administration to rank the states by utility costs, and the results range from a mere $3 average per month in Florida to $60 average per month in Michigan. That makes sense, since Florida is a very warm state and Michigan has very cold winters. But these totals don’t tell the whole story: Hawaii, for example, was second-cheapest with average monthly gas costs of $4. But Hawaii ranks first in terms of the price of natural gas, since its supply must either be brought in on tankers or created synthetically. The high cost of gas means gas-powered appliances are unpopular in Hawaii, and the mild climate means little gas is spent on space heating, which is why the typical gas bill is still so small. How much are utilities for an apartment or home in your area? If you want the most accurate estimate, the best source is the person who was paying the gas bill before you came along. When looking at rentals, ask the property manager about the typical energy costs, and if they don’t know, see if they can find out from the previous tenant. If you’re buying a home, direct those questions to the seller or real estate agent. Still, your bills might vary if your energy consumption habits differ from the previous tenant or owner. Upgrade your gas-powered appliances to newer, more energy efficient models. Look for the ENERGY STAR label when shopping. Upgrade your home’s insulation, especially in the attic, to help keep your heated air indoors. Seal drafts by closing cracks and gaps with spray foam and making sure your window and door weather stripping is in good condition. Add an insulating jacket to your water heater and pipe insulation to your hot water pipes. Install a thermostatic valve in your shower that can automatically shut off the water when it reaches your preferred temperature, avoiding hot water waste. Upgrade to a smart thermostat so that it’s easier to manage your furnace. Limit the use of your gas fireplace, if you have one. Use ceiling fans in a clockwise direction and at low speed to recirculate warm air during cold weather.